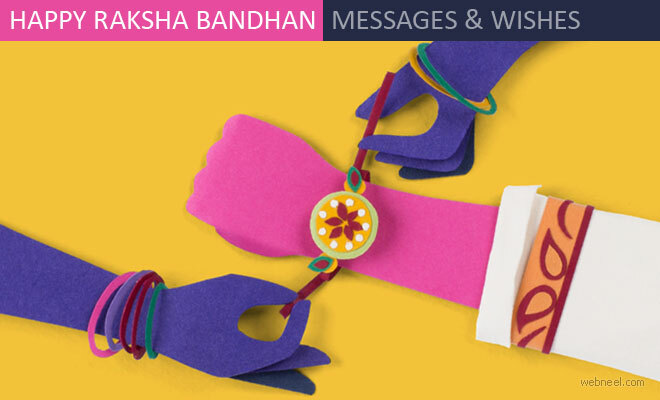 We have listed best raksha bandhan wishes, rakhi messages and sms which can be used to express your love to brothers. 2018 Raksha Bandhan falls on August 26th, which happens to be a Sunday. 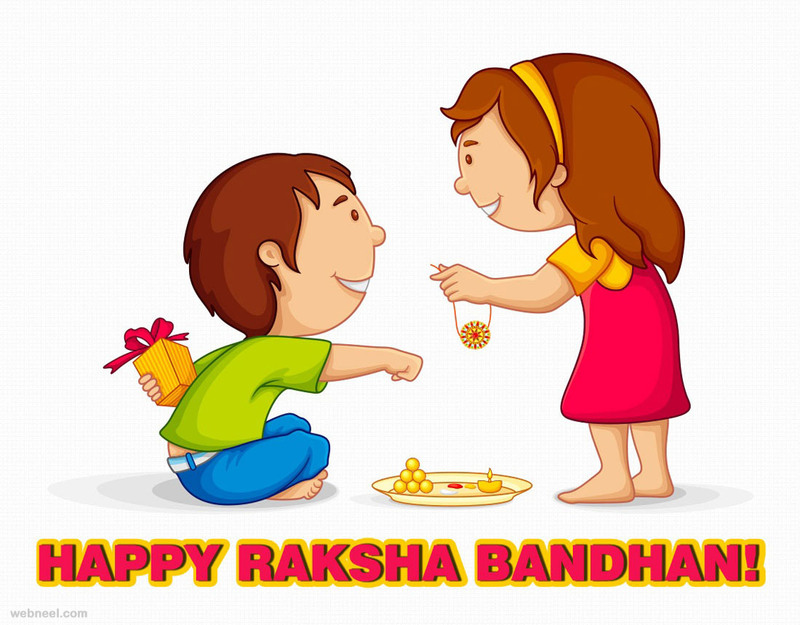 During Raksha Bandhan, a sister pledges her love for her brother by tying a thread(rakhi) on his wrist and he in turn promises to protect his sister from all evil. Raksha Bandhan is usually celebrated in North Indian homes and the trend is quickly catching up in South India too. On the day of Raksha Bandhan, the brothers and sisters wear new clothes, get blessings from elders. The sister than performs a pooja to the deity and applies a red tilak on the brother's forehead, after which the rakhi is tied on the brother's wrist. Gifts are given to the sisters in the form of products or cash. 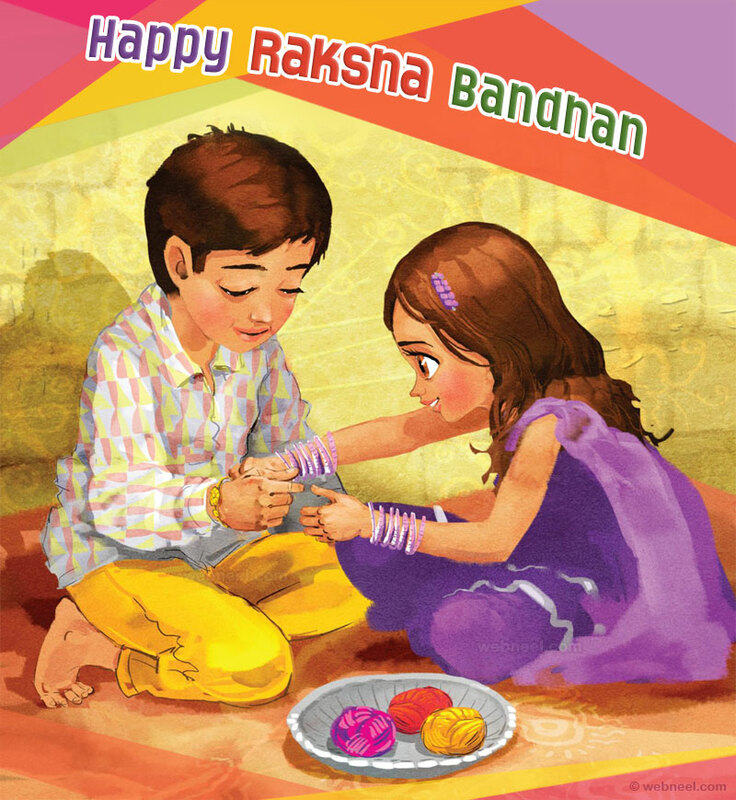 See 40 Beautiful Raksha bandhan Greetings here. 1. 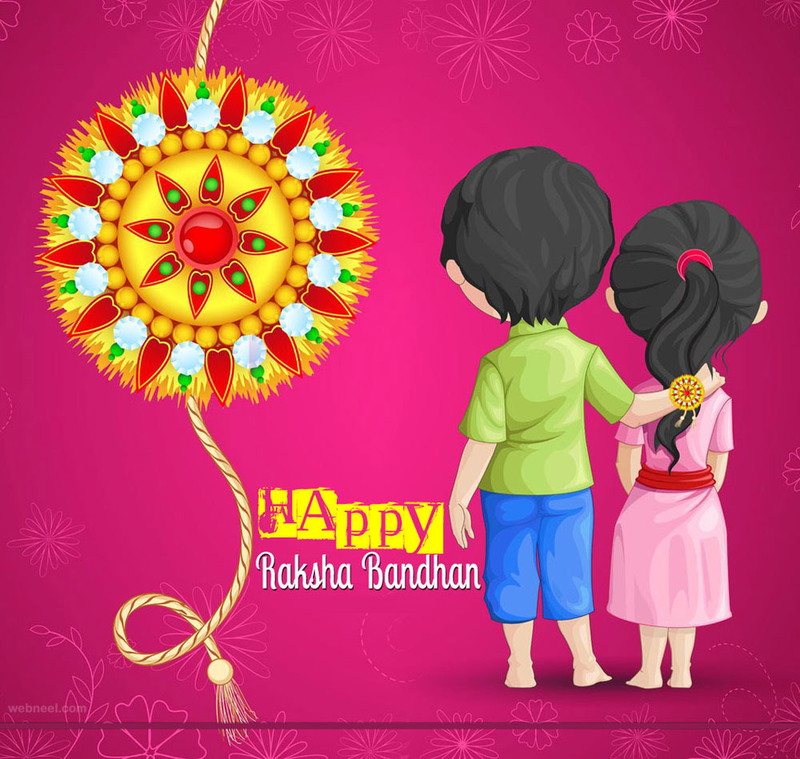 Happy Raksha Bandhan Wishes to You! 2. We gain and lose things everyday. But trust me on one thing — you'll never lose me. 2. It's lovely... that we got to grow up together...like two peas in a pod... Happy Rakshabandhan to my sweet as sugar brother. 3. Dear Bhaiya you are being badly missed. Love you to the moon and back..
4. Remembering the strong bond of togetherness shared by you and me. Thanks for being the best protector..
5. You are all for one and one for all. You are a companion, a friend and also a savior. Love you, dear brother. 6. I may not be there to tie rakhi on your wrist but I know I am forever in your heart, Bhaiya. Sending you lots of love and blessings. 7. Having a brother like you is a wonderful feeling as I have a person to rely on, anytime and anywhere in this world. 8. Brothers are like streetlights along the road,they not make distance any shorter but they light up the whole path and make the walk worthwhile..Happy Rakhi Bro. 9. Times and money changes many things. Be our love and the bond we share never changes. This Rakhi brings all my blessings, love and care for you! 10. Thanks dear Bhaiya for your warmth affection & you are understanding , May our bond of love remain forever. I vow to protect you at all times from all kinds of evil and to be there for you in hours of need or crisis. 12. God sent in my life a beautiful Gift it was a Sister. In good times or bad ones, you’re ready to extend your help and support. Thanks for all you done for me.” Happy Rakhi Sister..
13. I always enjoyed teasing you and pulling your braid but you never complained. I made undue demands and you pampered me fulfilling them. You scolded me whenever I did anything wrong. Your mere not talking to me was the greatest punishment ever. Today is the time I wish to express the gratitude for whatever you did for me. I owe my success to you as much to our parents Happy Rakhi. 15. Intelligent and beautiful as you are, my sister is the best. On this Raksha Bandhan I just want to let you know that I am proud of you. Happy Raksha Bandhan ! 16. My friend, my teacher, my guardian angel..
some of the many ways you are a part of my life. 17. Sister cares and shares her feelings. 18. Sister,you are like a fragrant rose.